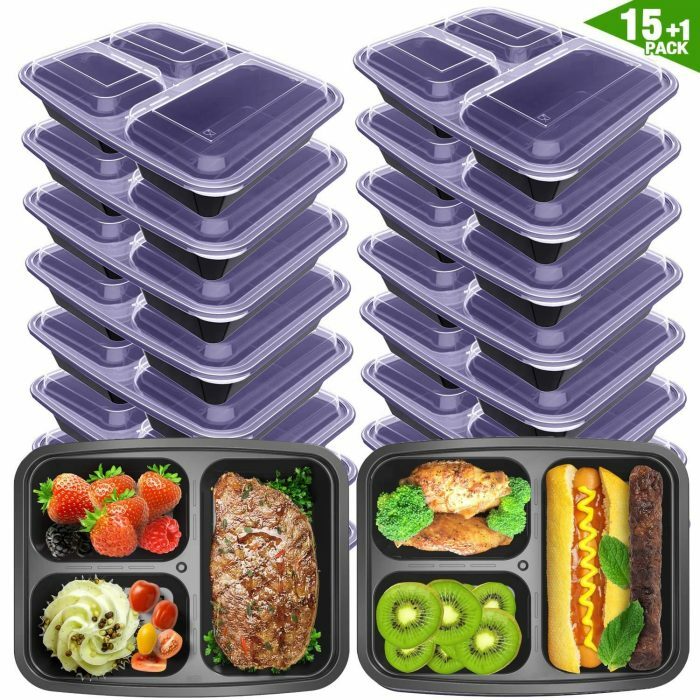 Meal Prep 3-Compartment Containers with Lids (16 pack) only $7.49! This price on this HOT deal just dropped again!! Amazon has these Meal Prep 3-Compartment Containers with Lids (16 pack) for only $7.49 when you use the promo code ARYDH8KK at checkout! This is the lowest price on record, and they’re perfect for back to school lunches!